From the moment you cross the threshold of this charming 2 bed, 2 bath bungalow with private pool, you’ll find yourself beginning to relax. Everything at SolMates has been designed to instill a sense of peace, comfort and happiness. This is ideal Virgin Island life! The beautifully furnished common areas of living/dining room and kitchen, private pool and deck separate the two luxurious master bedroom suites for maximum privacy. the second master features 2 new (2015) twin beds that can also be converted into a king size. 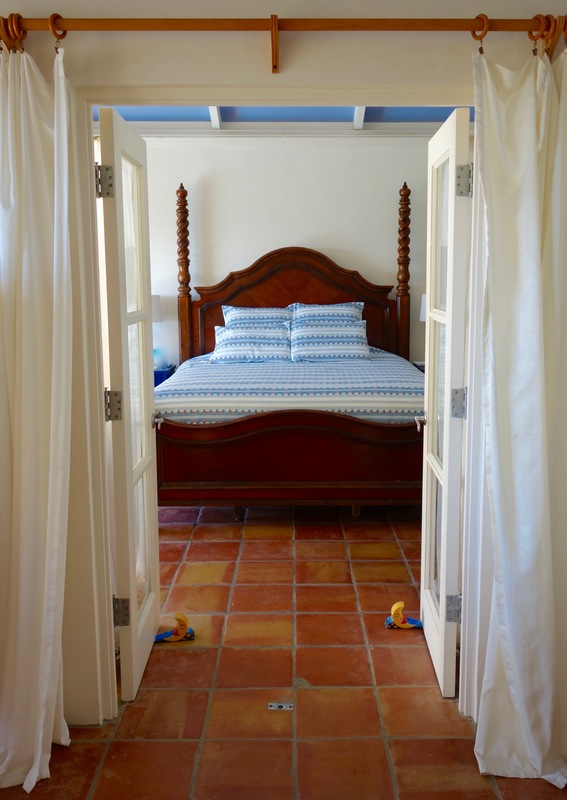 Each master suite has a large bathroom with pink marble walk-in shower and separate water-closet. The pool and deck are furnished and equipped for floating, sunning, dining, and limin’, island style! You may never want to leave! listening to your favorite tunes via the Bluetooth stereo speakers, and just kicking back. And new screen doors throughout! The galley kitchen is well-equipped for serving cocktails, snacks, and full meals. A gas grill is sheltered from the sea breezes on the separate grilling patio, under the shade of palm trees. For dining at home, there’s a cozy rattan table for 4, or an umbrella-shaded patio table by the pool. 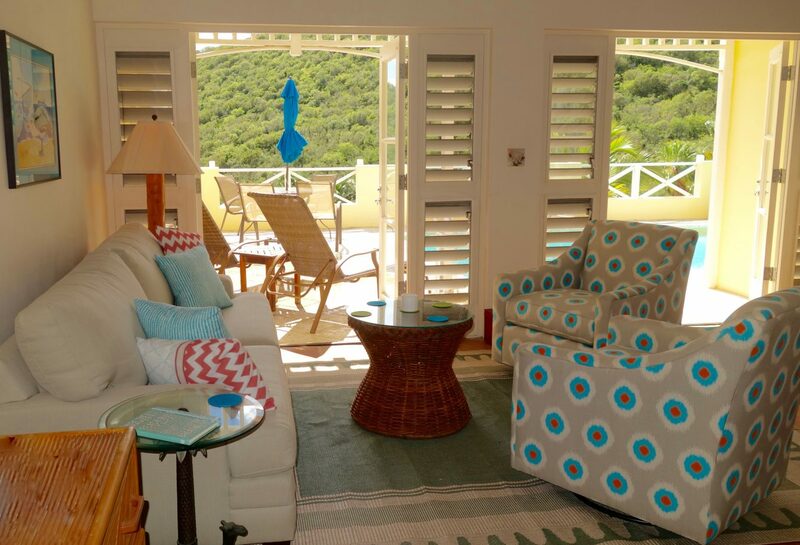 While you may never want to leave SolMates, there is so much more to enjoy on St Croix! In addition to tennis on the grounds and golf just minutes away, SolMates is convenient to all island activities — beaches, scuba and snorkeling, boating and other water sports, restaurants, shopping, and a casino, and historical sites. 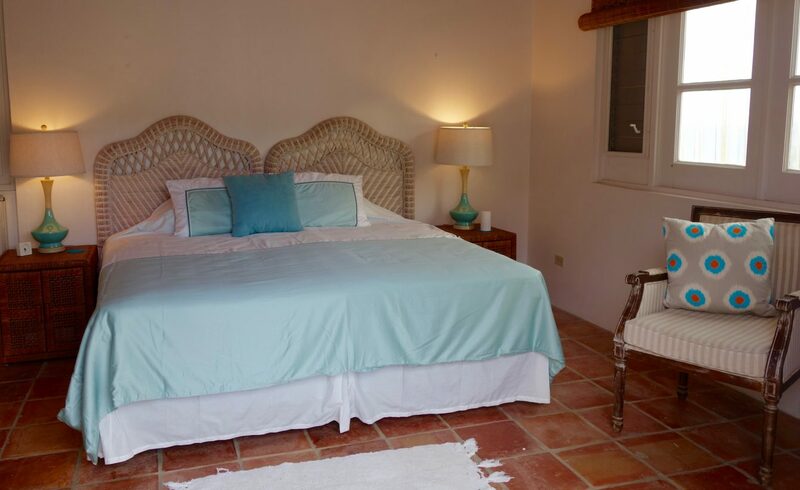 SolMates is a perfect haven for a couple wanting a romantic Virgin Island getaway, or two couples traveling together. Also great for vacationing friends, or families with teenagers. Book your getaway today!